The Brazilian game has become synonymous with excellence, success and beautiful, irresistible football. Supporters from every part of the globe are able to recount joyful tales about Brazil's unmatched achievements, especially ones of World Cup glory - not for them the almost fifty years of hurt endured by England fans. But few realise that the most crucial transformations undergone by Brazilian football came as a direct result of the Selecão's failures. 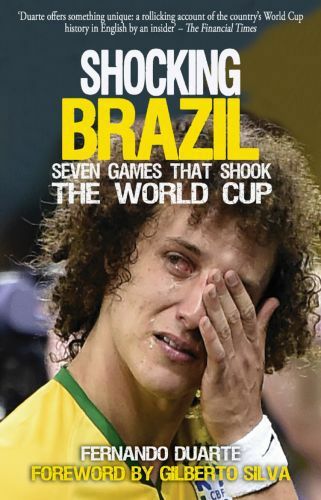 Shocking Brazil looks at six crucial World Cup campaigns that radically altered the face of Brazilian football and which had repercussions far beyond the sport. Behind the ignominy lurk narratives of racism, corruption, authoritarianism, corporate power and greed. This tour de force through the history of Brazilian football, told through the prism of these six famous defeats, is by turns fascinating, enlightening, shocking and utterly compelling.